This post was created 2 years ago. Drawing from my own life experiences and knowing, I share my perspective on how we may grow towards a more compassionate understanding of each person’s journey in life. Please feel free to share your comments and feedback. “Jaymie, you are a wasted talent.” ….A statement from a long-time family friend, (New Zealander) who I reconnected with around 10 years ago. The person’s intentions were well meaning. The statement came from a place of admiration for my artistic talents but also a concern. I would be lying if I said these words did not hurt – and they have remained with me to this day. On reflection, I know this person’s statement was possibly how they were feeling about their own unfulfilled dreams, gifts and potential…I could feel sadness in her words …. A sadness which was hers, not mine. In our modern world, there is much pressure and expectation to achieve through our mind or body. I’ve touched on this subject several times in earlier posts. In this post, I want to address this growing pressure, which is affecting our young people and what we need to focus on – if we choose a path of healing and transformation. The fact is, in our modern world people judge success externally, like being “well known” …making a lot of money… owning or accumulating material possessions…. flying here and there around the world…. being physically attractive and fit… or being “driven”, motivated, positive or always busy. In my own life, the pressure I have felt to achieve and appear perfect on the outside has challenged me to redefine what success really means. In my early twenties, I realised that societies definition of success and perfection would never fit who I truly am and the only way I could find real happiness and fulfilment was to follow the guidance of my own heart and soul. On reflection, I see that from the “outside” the choices I made and the path I forged and created for myself may have appeared irrational, unconventional, obscure and unplanned to some people. However, as I began to view my life choices more from the “inside” and less how others and society perceived me, I came to realise that the most important was that I listened to my own intuition and followed my heart and soul. I now know that this way never demonstrates a carefully-calculated-straight–path because it is open to flow and spontaneously change as we grow to become more authentically who we are. or follow our heart – often into the unknown. AND GROW TOWARDS BEING OUR TRUE SELF. Our Soul Journey is a slow but steady process where we increasingly open ourselves to look at the truth in our heart, in our relationships, people and the world around us. In order to grow, we need to be challenged and it is our relationships which provide us with many opportunities to do our inner work. When we leave this body, we do not take with us our superficial human “goals and achievements” or any of our “materialistic successes”. It’s the energy of who we are and what we share with others, which is most important. It is not important or possible for everyone to understand us – but it is important that we are being true to our heart. Our Soul Journey is about whether we are living, being, feeling and sharing in harmony with our heart and who we truly are. My birth nation, New Zealand has the highest rate of teen suicide in the world – for the second year in a row. The latest Unicef report has NZ towards the bottom of the developed world (38th out of 41 countries) in relation to the health and wellbeing of children and youth. A long period of selfish, poor and uncompassionate government choices is a justified target or vent for our blame, anger and frustration. But more important for ourselves and the collective consciousness of all New Zealanders (and the world), is if we focus on our own personal healing and shadow work. Our shadow encompasses everything we do not “like” about ourselves – it is the suppressed, hidden parts of ourselves, which we have never acknowledged but long for our conscious awareness, understanding, truth, love and integration. The more we ignore or suppress our shadow – the more it grows in power and manifests in self- harming, self-destructive patterns. The more we find the courage to openly acknowledge, heal and transform our shadow – the more light and compassion we bring into our relationship with ourselves, others and the world. –unless we contribute to healing this through our own inner work. It is the wounded masculine (perfectionism, over-achieving and controlling, unable to express sadness or sorrow, ignorance, stubbornness, rigidity) which overrides, neglects and ridicules the sacred feminine (sensitivity, creativity, feeling, intuition, compassion, gentleness, being and nurturing). Of course, these are wounds which extend far beyond New Zealand and deep into our modern human history, psyche and collective consciousness. However, the wounded masculine energy is vividly portrayed and often glorified within the New Zealand culture. Around 14 years ago, a New Zealand male friend of mine committed suicide (aged 23 years old). In his suicide note, he apologised to friends and family saying that he could no longer go on because he was “so tired”. My friend was a funny, gifted, highly creative, very sensitive and caring soul. In the final years of his life, we both moved to opposite ends of New Zealand and sadly, I lost my once close connection with him. Because of this, I do not wish to assume what was going on in his mind at the time he took his own life. However, based on my understanding of his difficult past and the trauma he had experienced in his early life – I do believe he was tired of fighting – for his true self – and having to shut himself down – in order to “fit in” or function in society that largely excludes and ridicules the softer, feminine qualities, which are more prominent in some men. My friend was an outsider his whole life in terms of fitting in to the typical Kiwi male “accepted persona”. For those who are unaware, the “harden up, stay staunch” attitude is prolific in New Zealand culture. The conservative Kiwi males do not find it easy to talk about their feelings and emotions. However, what made my friend so unique and special was that he had been through so much in his life – and this meant he had so much sensitivity and compassion to share with others. Of course, I know that my friend is still with me now and the act of taking his own life – did not mean he “failed”, he was “punished” or that his suicide was the “ultimate sin” (as some religious dogmas would have us believe). I know that his journey of learning and growth continues and he found relief from “tiredness” after leaving his physical body. I also believe that if he was able to change his mind and move through his internal blockages towards self-healing – the universe (Spirit, God, Creator, Angels – whichever words describe a Higher Power for you) would have staged an intervention and he would not have succeeded in taking his own life. a quest for suffering or anything like that. you can always pick yourself up again. as long as you’re still alive. That’s the biggest lesson in life. In other words, you are not defeated until you give up the fight. You give up the fight by giving up the dream. Right now, the reality is that New Zealand’s rate for teen suicides (15-19 years old) is the highest of the 41 OECD and EU countries included. In an average week, two young people kill themselves, and about 20 young people are hospitalised for self-harm, (according to Youthline report for 2016). These statistics tell us that something very serious is being over-looked or hidden. In any culture, country or nation, the youth are our future and therefore the responsibility of all. Will these young (obviously) sensitive souls who have taken their own lives, awaken people to their own shadow and the shadow wounds of a nation? The wounded masculine – warrior, aggressive energy – needs the sacred feminine to heal and create a much-needed balance, inner peace, personal self-care and respect, sensitivity to our own and others feelings, love, nurturing, compassion and wholeness. Perhaps the first step towards healing – is to create better forms of communication and open discussion so that young people can feel safe and supported to express themselves and truly be heard. While suicide is a delicate subject for many people, it should not be closed to discussion and hidden behind shame, self-blame and closed doors. Are we, the women and men of New Zealand ready to support and encourage these open, supportive, compassionate discussions – after having spent time working on healing and transforming our own shadow? EXIST WITHIN EACH ONE OF US. We are here to learn from each other in relationships so that we can heal, balance and harmonise the masculine and feminine energies within us. As we heal and grow, we can offer support for each other on this journey with love, understanding and compassion – especially our youth as they make choices, expand their sense of identity, and search for freedom to express their authentic voice in the world. We all have the potential to be gentle and nurturing. We all can develop our intuitive and compassionate feeling for people, animals and nature. We all have a divine creative spark, which longs to be manifested here on earth – our true potential. Likewise, we all have the capacity to be strong, while carrying a flame of truth, courage, authenticity and integrity. Let us be like the moon and the sun…or water and fire…. earth mother and sky father. A divine marriage between the masculine and feminine power is what creates true harmony, healing, love, creative energy, peace and balance on earth. Sound a bit idealistic or dreamlike?… maybe! … Most of us have never experienced or identified with a true and healthy role model of the sacred feminine and masculine energies. It is helpful to remember that whatever challenging stages or cycles we are moving through on our healing journey, there is always going to be a mysterious, magnetic pull towards union or a sacred dance searching for creative expression inside and outside of us …. just look to nature… and you realise this is happening around us, every moment. WE DO NOT KNOW WHAT EACH SOUL IS HERE FOR, ON EARTH. SO THEREFORE, WE SHOULD NOT JUDGE THE PATH OF OTHERS. Each soul incarnates and re-incarnates on to earth with different lessons to learn. A soul family and country provides the opportunities and challenges (a foundation – a structure) for these lessons to be offered and it is then the free will choice of each soul to complete and fulfil them. Even if we do not understand the path a young person chooses – it’s not our place to judge or project onto them from our own unfulfilled dreams, expectations and beliefs about life and our own ego-based “ambitions”. Overtime, these comments build up the voice of our “inner critic” – potentially becoming very destructive to a young person’s self-worth and feeling about their own unique identity and path in life. Let us be conscious of the impact we have on those around us with our words and projections. Let us continue to be devoted to our own inner work and Soul Journey, so that we may offer soul wisdom (gained through our own life experiences), compassion and loving support to others. Let us be the leader and wise friend we ourselves would have loved to know – when we were a young person. only come through fully experiencing our inner places of darkness and despair. 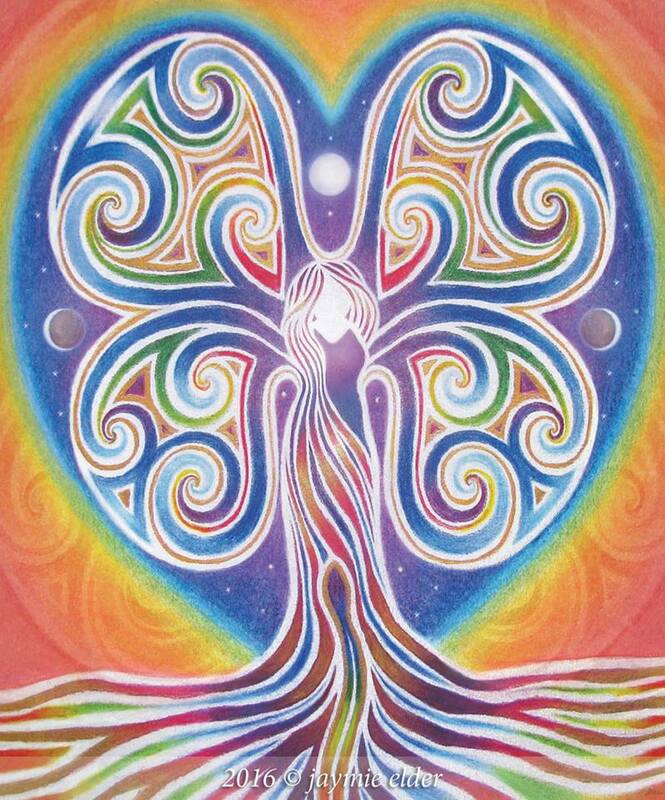 to grow deeper in love, truth and wisdom on our Soul Journey. it is a scaffold which brought us to this day. out of our past and out of the present. our grandmothers, our grandfathers, and our children. Please share your feedback in the comments below…Write to me; any questions you may have based on this article, my work or just to say hello 🙂 If you enjoyed this post, please share it, follow my blog or register to receive notifications in your email box for my future posts. Thank you! the generational wounds of the men and women in my family. to create an authentic and fulfilling life from my creative and soul gifts. and for the many opportunities to heal and grow deeper on my Soul Journey. Wow that was amazing to read and so true …. I went to Reporoa not far from where i live in Kaingaroa Forest New Zealand, situated between Taupo and Rotorua. I had worked at Reporoa college for 7 years as a science technician. In my time there i found that alot of the young had alot going on, in their minds. Mostly to do with image, being tuff, and wanting to be noticed, most of whom spent alot of time with me in the purple room (A place teachers sent the kids at lunch time, if they were disruptive). While in there they are meant to do their assigned tasks, however i was no ordinary teacher, so i used to tell them , put your books away, and i would ask them …. Tell me why? am i blessed with the company of you fine children during this lunch period, You know Jaymie most of the time, some said they couldn’t understand what was being taught and got bored, others just wanted to be disruptive (so those one’s i got them back into their tasks, as for the other’s i told them i would help them to try and get an understanding if they wanted me too. Well i watched those kids grow and when you start to talk to them with love and affection… they performed, I treated them like they were my kids, and if they played up teachers bought them to me and i would just give them hands on work to do in the science department, which is what they wanted. You see the kids had their own special talents, and as we all know , one size does not fit all. There was a disruption one morning and i had found out that one of the kids had decided he had, enough and wanted to go home earlier, then he should’ve, we all had a job of taking care of the rest of the kids, with hurt, anger, for they just lost a friend. I went around looking for all of them and had a good talk and cry for our boy, it was what we all needed to do, release the mamae (hurt). Six months later i left and put my girl into home schooling. Last year i took up Metaphysics and had learnt about energies and how to raise my own vibrations through positive thinking, so i wanted to go back to Reporoa and raise up the vibrations there, after i had left Reporoa college, there had been two more suicide’s. Hence the reason i went to a mountain there and a marae was just down the road , which i believe i had all the right Taonga’s (sacred places) right there. I wanted to bless that place with aroha (Love). I have asked my friend who stay’s there, how have things been. You know she said she had felt a change like it felt more calmer then what it has ever been. I prayed so hard to all the gods, elements, ancestors, you name it. I asked them all for blessings upon our Mother (Papatuanuku). Thank you Shari, it’s such a great pleasure to read your comment and it fills me with a lot of hope that someone like yourself has your heart in such a good and open place for the youth in New Zealand. Much love and blessings to you across the oceans. Next A soul perspective on life and suicide and how we can grow towards a more compassionate understanding of each person’s journey.